Lynn Fausett is an American artist known for depicting the history of the American West. Fausett was born on February 27, 1894, in Price, Utah. He was educated in Carbon County public schools until high school when he attended Brigham Young High School. He graduated in 1912 with a diploma in art and manual training. He went back to Carbon County and also graduated from that high school in May 1913. He was a well-rounded student and excelled as an artist, orator, football player, sprinter, musician, and newspaper reporter. He painted sets for local theatrical productions and won ribbons and awards for his paintings. He became a teacher in a small school in Hiawatha, Utah. He expanded his studies in art at Brigham Young University, the University of Utah, and the Art Students League of New York. He also studied fresco painting in France and mosaics in Germany and Italy. He was the president of the Art Students League for 14 years, helping the league to recover financially and broadening the teaching approach. Fausett created many murals for The Church of Jesus Christ of Latter-day Saints], of which he was a member. His murals appear in the Union Building of the University of Wyoming, the Nebraska State Capitol building, the St. Bartholomew Church and the Irving Trust Company in New York, the Baltimore Trust Company in Maryland, the Union Station in Kansas City, and the Chicago World Fair, to name a few. He painted a mural for the Price City Hall under the federal Works Progress Administration sponsorship. He used old photographs, tintypes, and personal recollections to illustrate Price and Carbon County. He frequently painted murals of the experiences of the Mormon Pioneers. 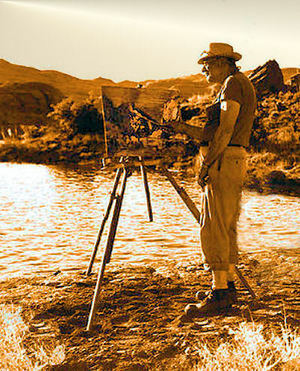 Beginning in 1942, Fausett produced easel paintings of historical subjects, military life, ranch scenes, cattle drives, and memories from Utah’s Canyon country. 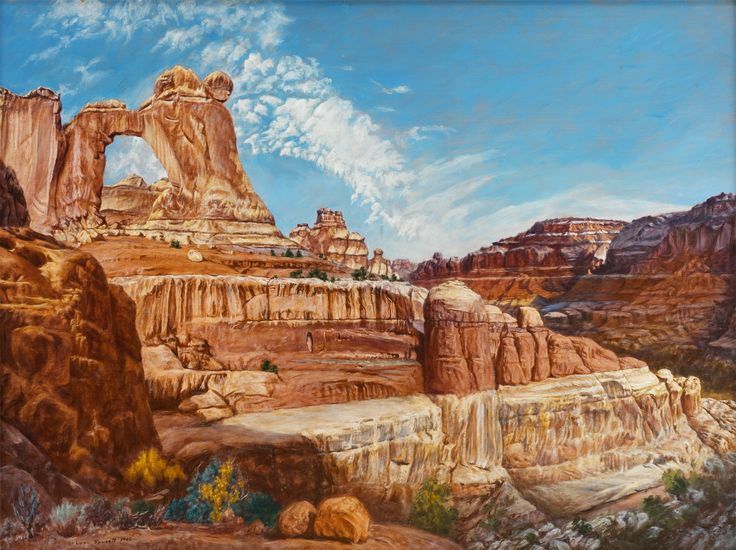 His painting “Angel’s Arch” drew the attention of Washington legislators to the beauty of Southern Utah and influenced them to preserve the area as Arches National Park. He was awarded a Meritorious Service Award for his work as an art director in the Special Service during World War II. Fausett was married for a time to artist Helen Elizabeth Wessells. He married Fiametta Rhead in 1940. He died on August 17, 1977, in Salt Lake City. This page was last edited on 7 October 2014, at 12:39.